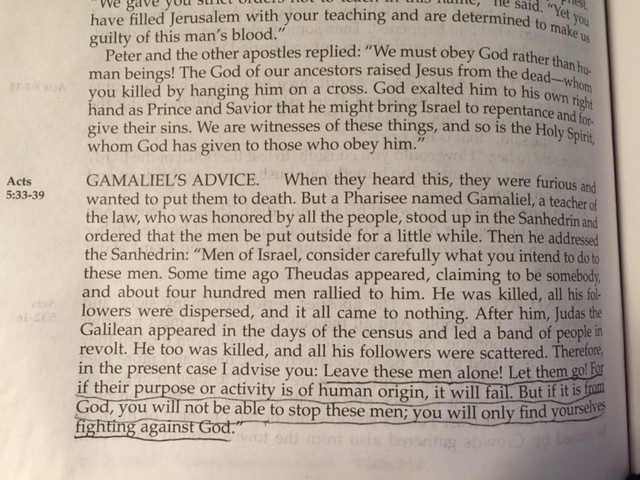 Gamaliel was a smart man. As a member of the Sanhedrin, he took part in their debate about how to get rid of Peter and the other Apostles. They were creating a growing threat to the Sanhedrin the established religious authority. It is now over 2000 years later. And we know the answer to his question, don’t we.